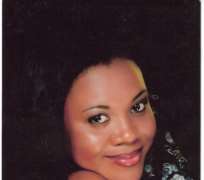 Stella Damasus Aboderin, is putting her acting career on hold for now so she can focus on her music career. The star actress is in the studio right now putting together her album set to be released before the year runs out. Stella said she has been very busy with her acting career and did not have time for her music but now she is working on it. The album which will contain about six or eight tracks, she and Sammie Okposo are working together on the album. Stella, a mother of two, says her music is all about inspiration and a little of gospel music.